CLICK HERE TO SEE THE AVAILABLE OPPORTUNITIES AND THE INSTRUCTIONS ON HOW TO APPLY. xii. 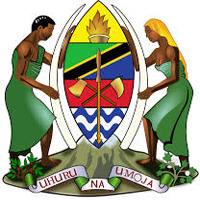 A signed application letters should be written either in Swahili or English and Addressed to; Secretary, Presidents Office, Public Service Recruitment Secretariat, 27 Bibi Titi Mohammed Road, P.O. Box 63100, Maktaba Complex, 11102 Dar Es Salaam.